Special education is provided to qualifying students, at no greater cost, than to any other student, and the varying special learning of needs of student's are addressed through remedial education. Some children may need wheelchair accessibility, adaptive bathrooms, physio therapy, occupational therapy or speech therapy as part of their daily school routine, thus the need for special education school's came about when student's required support that goes beyond that which is normally offered or received in the regular school and classroom setting. To find out more about special education, you can check with local school board or Education department. They will be able to provide you with a list of special education schools in your area, which will qualify for the needs of your child. If your child has been staying up late during the holidays, start enforcing an earlier bedtime about a week before they go back to school. Get them back into a set routine, as children need there rest to concentrate and follow what is going on in class. make sure you check your childs school bag daily, for notes and permission slips from the teacher, rather than relying on your child to give them to you. It can be unpleasant for your little one to be the only student that didn't wear the right clothes for an outing or forgot to bring a snack or money for a Cake n' Candy sale. 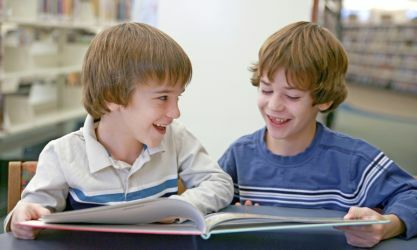 It is especially important for a special needs child to tell a teacher that he doesn't understand what she might be explaining, or if they need specific help. One way to teach your child this is to throw in some words during reading time that you know he will not understand. Let your child know that you are going to do this and, explain to them that need to stop you when they don't understand the word and ask you to explain. Make sure he knows that teachers like it when children ask them questions, about new words or anything they don't understand. Teach your child to be expected to say "please", "thankyou" and "excuse me!". If this is the first time they are going to school, start teaching them how to share, take turns and stand in a line. This is very important for special needs children, especially if they have a learning disability. You may have to repeat and enforce this behaviour for quite a while before they go to school, for it to become a habit to them and they fully understand what it means. Ask your child's special needs educator for a weekly schedule of what your child will be doing. This way you can prepare your child for what is happening daily, and you can ask more specific questions about happened at school that day. Find a specific place for all your childs supplies like paper, scissors, crayons etc. and help them get into the habit of putting them back where they belong, the way they do at school. This also goes for shoes, jackets and school bags; when you cannot find these things in the morning the day gets off to a bad start, and for a special needs child, this can lead to the rest of the day also not going well. Your childs perception of what's happening in the classroom may not always be accurate, so keep intouch with other parents whom you can call to touch base with. Be a special education volunteer at your child's school. Go on class outings and help with parties or school concerts. With special needs children an extra set of hands is always welcome and your presence and involvement at your childs school will be a comfort to them. TIPS FROM A SPECIAL EDUCATION TEACER. Always check your childs homework, everyday and ask them to explain to you what they did. This will help to reinforce the concepts they have learnt. Celebrate your child's successes. This will give them a personal feeling of accomplishment, and they will want to learn and progress further. Children thrive on positive reinforcement. For more information on Special Education, visit Micheles site Understanding Special education. The goal of her site is to empower you as a parent to be the best advocate for your child.On her site, she bringing you the most parent friendly information on special education law, learning disabilities, the IEP process and school success, wanting you to have the information you need right at your fingertips. Deciding on which schooling option is best for your special needs child, can be one of the most difficult decisions a parent has to make. There are several options including public, private and homeschooling. What parents would like Special educators to know. What Special educators would like parents to know.